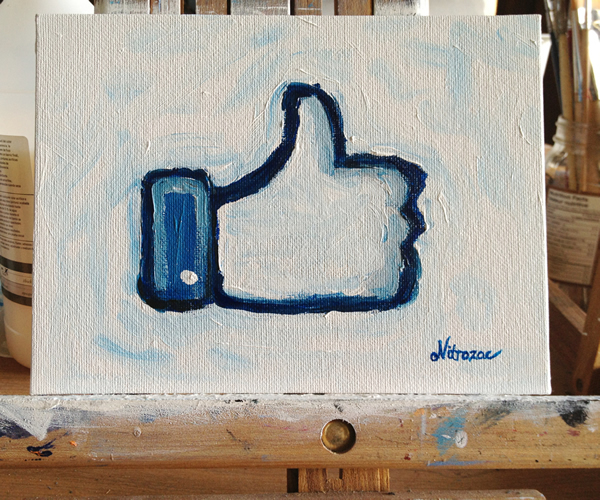 This lovely little painting is a portrait of the beloved/hated Facebook Like button. Or, more specially, the thumbs up. 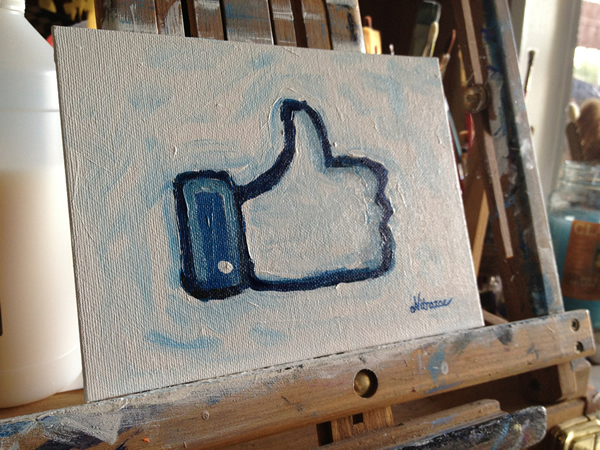 I painted "Like" on the eve of Facebook's IPO. It was a tumultuous time, with all kinds of so-called experts saying it's either going to skyrocket or tank. No doubt Wallstreet hands were rubbed raw with anticipation. Inspired by the revered Canadian artist, Tom Thomson, I painted "Like" in a quick, expressive style. As in a Tom Thomson painting, I felt the financial weather around Facebook's IPO to be stormy and wild! I believe this would make a wonderful little souvenir to mark this momentous occasion, with the future owner looking at this painting and hopefully remembering having made a fortune that day in May. If not, they could at least mark it as the time they purchased an invaluable work of art. Best of luck to all bidders, and to the winner, I know you will adore this painting as much as I do. It was an absolute pleasure to paint, and I love that fact that when you are feeling thumbs-down, you can just turn the painting upside-down! 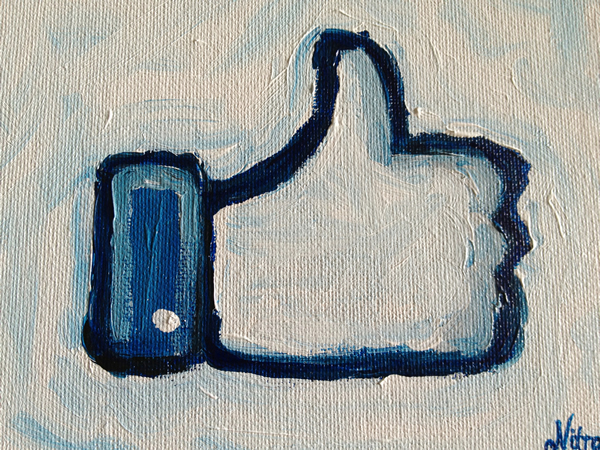 Details: "Like" original painting, on 6 x 8 inch board. The back of the painting contains the title, the date painted, Nitrozac's signature, and a fingerprint for authenticity. Shipping for the painting is extra... to the US and Canada via airmail it is 15 dollars, to other locations, 25 dollars. If the buyer is located in Canada, I will have to charge the appropriate HST Canadian taxes. Let's see if this gorgeous little painting can do better than one share of Facebook stock!